Ye Olde Green Wave Forum • View topic - More Painful Topic, Literally: Any word on Sample? More Painful Topic, Literally: Any word on Sample? Post subject: More Painful Topic, Literally: Any word on Sample? Post subject: Re: More Painful Topic, Literally: Any word on Sample? Whether it's Saturday or not, it's sooner rather than later for Sample's return. Good news. Meanwhile glad to see Fritz pumping Yulman. In good weather, it is a great venue to watch games from virtually any section in the stadium. Tulane in past few years has actually put butts in seats for HC games. Regrettably it too often has then played woefully. Forecast for Saturday is still for spectacular outdoor football weather with a mid-afternoon kickoff. 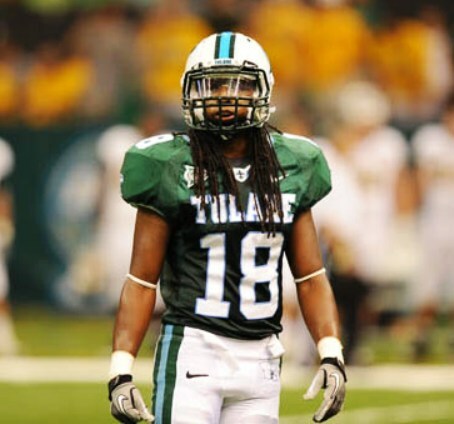 If Tulane plays well, it has a great opportunity for an impactful game with its fan base. May it happen. Tulane in past few years has actually put butts in seats for HC games. Regrettably it too often has then played woefully. Forecast for Saturday is still for spectacular outdoor football weather with a mid-afternoon kickoff. If Tulane plays well, it has a great opportunity for an impactful game with its fan base. May it happen. For what it's worth, my (original, pre-redshirt, high school class peer) class of '93 is looking like a huge turnout for their 25th, and the class Facebook page sounds like quite a few of them are excited to see Yulman and attend the game. Sure would be nice to treat them to a good performance and a win. Sample has gone down in every game we've played.. and he has always come back, until this past week. Nails aspire to be as tough as this kid. We dominated after losing him this past weekend. If it was my decision, he’d sit this week unless he’s 100%. We will need all hands on deck for Houston, but more so for Navy’s rushing attack in what could be for a bowl bid if not a Western division championship. We’ll get people’s attention after we beat UCF in the championship game. I would hold him out vs ECU and hope he heals up for Houston.